يشكل Ascot Oamaru Motel بموقعه الممتاز في المدينة نقطة انطلاق جيدة لاستكشاف أفضل ما فيها من معالم ومناطق نابضة بالحياة. يحظى هذا الفندق ذو 3 نجمات بمكان ممتاز يسمح بالوصول إلى المعالم السياحية الأكبر في المدينة، فهو يبعد مسافة 4 km عن صخب المدينة. يضفي محيط الفندق اللطيف وقربه من أكثر المعالم السياحية جذبًا سحرًا خاصًا على هذا الفندق. إن الخدمات التي يقدمها Ascot Oamaru Motel تضمن للنزلاء إقامة مريحة. يقدم هذا الفندق العديد من الخدمات الكفيلة بإرضاء أكثر الضيوف تطلباً. في Ascot Oamaru Motel غرف نوم يزيد عددها عن 28 صممت بذوق وعناية لتوفر لك كل وسائل الراحة . بعضها يحتوي أيضاً على تلفزيون بشاشة مسطحة, اتصال لاسلكي بالإنترنت, حوض الاسترخاء, غرف لغير المدخنين, مكيف هواء. كما أن مجموعة الخدمات الواسعة الموجودة في الفندق لضمان راحتك تترك لك الكثير من الخيارات لقضاء وقتك أثناء فترة إقامتك. إن Ascot Oamaru Motel هو مكان مثالي للمسافرين الذين يتطلعون إلى الراحة والاستجمام في المدينة. Owner was helpful and friendly. Room was fairly well appointed for the price and was surprised the SKY TV was available with the usual limited channels found in motels. Nice place. Clean, neat and with large rooms. Only downside is that you have to drive into town. The owner was really helpful and service minded. They need to replace the noisy fridge with a quiter one it kept us awake most of the night, the room is too small to have a double bed and single it left no room for proper chair to sit in while watching tv before going to bed. Very nice and will back and stay again. Generally well maintained. Family with kids who likes to do some cooking may find the kitchen kind of small. Suitable for short stay for those who are ok with simple unit at affordable price. very friendly service, recommended places to go in oamaru, and room was pre-heated before we arrive (a cold day); which was brilliant. room is big and clean. only a few improvement areas: the heater is too far from the bed, thus resulting an uneven flow of warm air. toilet flooring is cold too. but generally, stay is comfortable. The motor inn was almost on the outskirts of the town on the main highway. However, quite a lot of the town apart from the central area seemed to cling to the highway, in and out of the town, so many of the motels were in that situation. A little noisy with trucks etc, but not bad. Next to a family restaurant, but not a problem noisewise from there, but we stayed during the week. The motel was clean and comfortable, but a little dated. 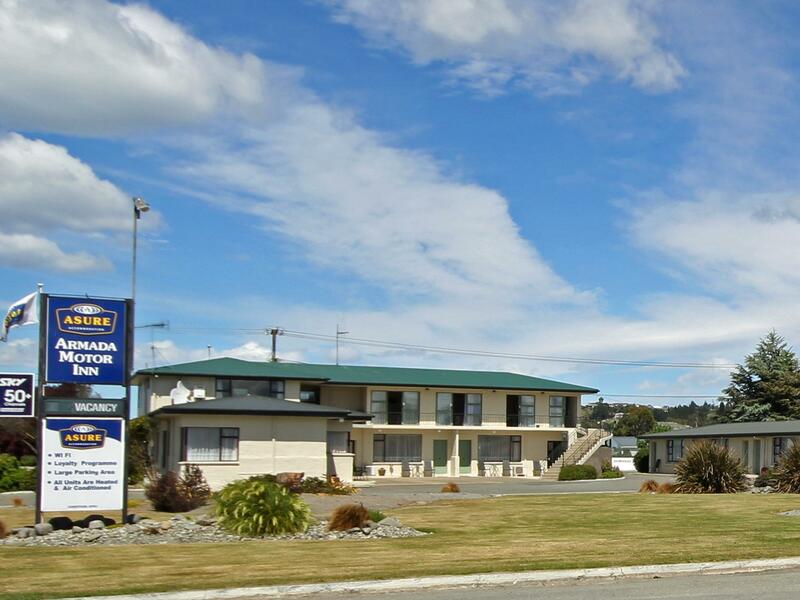 When staying in Oamaru again, would choose a motel closer to the centre of the town. We were absolutely "gobsmacked" by the architecture and number of historical buildings in this smaller town. We were amazed that so many buildings have been preserved in pristine condition and fortunately the town has taken advantage of these magnificant establishments, with an Opera House, galleries, tourism displays. The wharf area is currently being developed as well, but there is even now there's a lot to see, explore visit and buy. We had only planned on a one night stay in Oamaru, but wished we could have stayed longer. Friendly and accommodating. Hostess gives good local dining places and points of interest including touristy sites. It is close to access Moeraki Boulders to swim with the dolphins and see the mysterious rocks. It is close to Dunedin which is a deelight to visit. Vi fick inte det rum vi hade bokat utan en tredjedel av ett hus på bakgården. Jag vet inte om detta var till det bättre. Rummet var slitet, men ganska stort och det fanns litet matbord och två stolar. Det kändes som om det låg på en bakgård och det var ingen trevlig miljö runt om eller någonstans att sitta ute om man ville. Värdparet var fantastiskt och hade mycket att berätta.